Many Berlin travelers plan on spending a few days in Dresden. The cities are only 120 miles apart and both have a range of historical, off-beat, and unique attractions. Luckily, there are many options on how to get from Berlin to Dresden (or vice versa) so you can experience them both. Find out which transportation option is the best and most convenient for you and your travel companions. Taking the train is a great way to get from Berlin to Dresden. Trains run throughout the day, and tickets cost between $40 and 80 (depending on the type of train). The super fast Intercity Express train (ICE), which reaches speeds up to 300 km/h, travels through Leipzig (worth a trip in itself) and you may have to change trains there, which adds another hour to the journey. The Eurocity (EC) train is a better option. It is cheaper than the ICE and goes directly to Dresden (about 2 hours). You can book train tickets, look for special sales, and reserve a seat on the Deutsche Bahn (German rail service with information in English) website. If you prefer renting a car and driving from Berlin to Dresden, you’ll be on the road for about 2 hours barring traffic. This can be the best option for families so they can comfortably travel together and save money. Or it can just be your excuse to drive on the world-famous Autobahn! Base rates vary wildly depending on the time of year, duration of rental, the age of driver, destination, and location of rental. Shop around to find the best price. Note that charges usually do not include the 16% Value Added Tax (VAT), registration fee, or any airport fees (but do include the required third-party liability insurance). These additional fees may equal up to 25% of the daily rental. German cars usually come with a manual transmission (gear shift). If you prefer an automatic transmission, ask the rental company and most can accommodate you. This may - like so many things - result in an extra charge. Getting there is easy: Just follow the Autobahn A 13 from Berlin to Dresden (or vice versa). There are plenty of signs to Dresden or Berlin along the way. Just Ausfahrt (exit) right into the city center. The cheapest - if least comfortable - option to get from Berlin to Dresden is by bus. And it is not all bad; the journey will take you 2.5 hours to get from city to city and can cost as little as $12. Bus tickets are a real bargain! Plus, comfort levels are boosted by bus services like wifi, air-conditioning, toilets, electrical outlets, free newspaper, sleeper seats, air-conditioning, and - of course - toilets. Coaches are generally clean and arrive on time - again barring issues with traffic. A recommended bus company is Berlin Linien with buses leaving every hour to Dresden. You can fly from Berlin to Dresden - but this may be the worst option. Travelers must usually stop-over in a central German city (such as Düsseldorf), which makes the trip long (between 3 and 5 hours) and expensive. 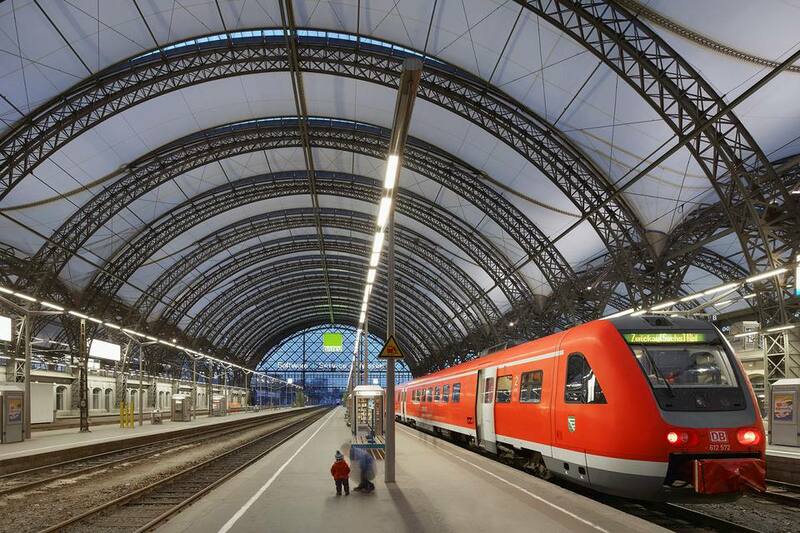 A better option to get from Berlin to Dresden (or vice versa) is taking the train or the car.